I'm feeling slightly flat at the moment. And to cap it all off, even the books I'm reading at the moment are proving, shall we say, hard work… I'm trying to enjoy The Adventures of Huckleberry Finn. I've started another book assigned for book group, and set it aside with a shudder after one chapter. And for the moment, I've given up on Far From the Madding Crowd completely. If I could trust myself, I'd turn to an old fave for comfort… but the way I'm feeling at the moment, I'd never go back to the other books I have to finish before next Tuesday! So I'll have to soldier grimly on. 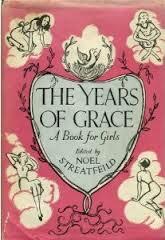 On a brighter note, I've been reading chapters to Miss 14 from the delightfully dated The Years of Grace, edited by Noel Streatfeild and rediscovered over at Memoranda, where Michelle has beautifully surveyed the contents. Although we're spending plenty of time mocking the 1950s attitudes, it has still been an opportunity to pass on some quite wise advice which might not be welcome in a more direct format (being cheerful and helpful around the home *cough*). So at least that's been fun! You're not surprised, are you? Initially daunted by the sheer size and heft of this volume, I ended up deeply enjoying it and galloping to the finish. (Far From the Madding Crowd has completely fallen by the wayside, I'm afraid.) 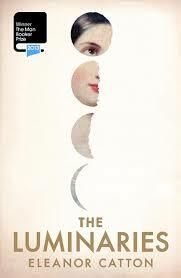 Once I'd twigged to the astrological dimension, I found it even more satisfying -- in fact I think this ended up being the element of the novel that I liked the most, though you certainly wouldn't need to know anything about the influence of the stars to enjoy the story. The mystery was complicated (even now I'm not entirely clear about the order of events), but it was absorbing and the interactions between the characters (linked with both star signs and planets) were fascinating, as was the setting -- a gold rush town in New Zealand -- literally the ends of the earth! -- in the 1860s. I must admit I found the first third or so pretty heavy going, but it was well worth the effort. So glad my daughter forced me to take it from the bottom of the pile! The Luminaries Update: Astrology Au-go-go! I'm powering ahead with The Luminaries, which has surprised me, because I was so intimidated before I started reading it. It's just so HUGE. You could do a burglar a serious injury if you heaved this book at him. I've just realised (lucky the book is so long, or I would have missed it altogether) that the twelve main characters represent the twelve signs of the zodiac. I don't know how I could have overlooked this, as it was discussed in the reviews I read, and also clearly mapped out in the star charts provided at the start of each section, but ANYWAY… now that I've twigged, it's added an extra layer of enjoyment to my reading. I used to be a bit of an astrology nut -- it was one of those things that I liked to pretend that I believed in, like the tarots… and maybe, deep down, I'm not really sure whether I believe in it or not… I know, logically, it must be nonsense, but it's fun nonsense, and it can be surprisingly illuminating. I dabbled in it just enough to be able to appreciate details like the Libra character wearing his cravat in the latest style, and the Virgo man being so meticulous and adhering to his own peculiar code of honour. So now I'm keenly looking for little clues like this, and chuckling, and feeling superior. Which is the best thing about astrology, isn't it? So… the book race. How's it coming along? Well, after a slow start, Eleanor Catton is well out in front, with about fifty percent read. The first chapter takes up about half the book, weaving the twelve strands of story from different viewpoints into the central mystery (which I'm hoping will be resolved in the second half…) And now I've finally got a handle on what's actually going on, I am gripped. Thomas Hardy, at the moment, is coming a rather poor second, with only about a third read. (I'm just up to the point where Bathsheba sends the valentine to Mr Boldwood.) It's possible that Far From the Madding Crowd is suffering because, having seen the film, I already know the story, so I'm not driven by pure narrative curiosity… but it's also undeniable that the meandering nineteenth century prose (two pages of description of snow!!) is trying my patience somewhat. Bathsheba Everdene is a terrific character, though, and I think Carey Mulligan was inspired casting. I'll try to catch up a bit with FFTMC in the next couple of days… and the meaty melodramatic bits are still to come. I'll let you know how I get on. Generally speaking, I am a one-at-a-time kind of reader (hence why I can have a neat list of What I'm Currently Reading on this blog, and tick the books off one by one). But at the moment, I am making an exception, and reading two books at the same time! This began as a coping strategy, because I was frankly intimidated. The Luminaries is a very fat book -- over 700 pages. Far From the Madding Crowd is an old-fashioned book, with elaborate phrasing, philosophical digressions and some unnecessary (to my modern eye) detail. Neither of them presented as easy reads. Interestingly, though they were written over a hundred years apart, both novels are set in the nineteenth century, and Eleanor Catton has reproduced the rich, expansive, leisurely writing of that era in her 2013 Man Booker prize-winner. I'm exercising some reading muscles that I don't often use, to be honest. But I needed to ease into it -- so I decided to break these two chunky books into more manageable bite-sized pieces. Ten pages of one, a chapter of the other, back and forth. Which one will I finish first? I'll keep you posted. *Thanks for Evie for help with formatting this post. Daughter the younger says it's been too long since I mentioned the dog on this blog, so here she is. She's two years old now, but still quite puppyish at times. In this photo you can see her cuddling her furry bone-toy (nb must wash that again soon…), and sitting in her favourite spot on the window-seat, from where she can keep an eye on events in the garden. She likes to rest her chin on the sill. If her nemesis, the grey and white cat from over the road, appears, stalking along the fence, Willow is perfectly placed to explode in a frenzy of barking and scrabbling at the glass. Likewise, when the possums creep out at dusk and make their way along the tree outside the window, Willow has a box seat to admire their progress (i.e. more frenzied barking and scrabbling, sometimes accompanied by frantic whining and crying). It's hard to tell with the possums whether she wants to eat them or befriend them; she often wags her tail while all the noise is going on. The other event that sets her off is when she can glimpse movement over the top of the fence, in the schoolyard beyond, which we are pretty sure she confuses with the arrival of the cat (dogs' eyesight is not that sharp). This means that recess and lunchtime can be noisy times of day… Thank goodness it's the holidays now, and we can all enjoy a bit of peace. I bought this on the Kindle as my local library didn't seem to have it (or maybe only had one copy) and I needed it for book group, but I wish I'd had a hard copy. I think this was one book that would have benefitted from being able to see the proper, full production -- photos and layout -- as I could glean from the Kindle copy that a lot of work has gone into the production, which the Kindle can't reproduce. I'm looking forward to examining other people's copies at book group next week. 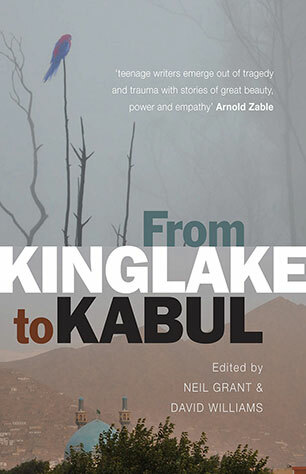 From Kinglake to Kabul grew out of a writing project where teens from the international school in Kabul, Afghanistan, exchanged pieces of writing with young people from Kinglake in Victoria, after the devastating bush fires of Black Saturday in 2009. On different sides of the world, these kids have been through a lot, and their parallel accounts of catastrophe and war are both shattering and hopeful. I found it very moving to read their fiction and reportage, and especially their responses to each other's work. Those tentative fingers of empathy reminded me of the tender green shoots that regrew after the fires, and are a wonderful reminder of the power of words to heal and to connect. 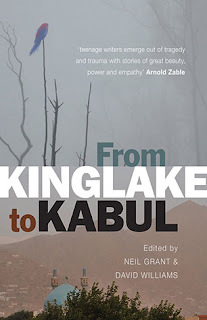 This book was edited by Neil Grant, a local writer, who travelled to Afghanistan initially to research his excellent, confronting novel, The Ink Bridge, and by David Williams, a Kinglake teacher who lost his house in the fires and whose account of that dreadful day is also included here. 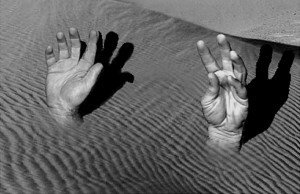 All the stories are very personal, some clumsy, some very accomplished, but all unmistakably rising out of the trauma of direct experience. Well worth reading.